Harry Ballinger lived in New Hartford, Connecticut and Rockport, Massachusetts. He studied at the University of California,San Francisco; the Art Students League with Harvey Dunn; and the Academy Colarossi in Paris. He was a member of the Allied Artists Association, Audubon Artists, American Watercolor Society; New Haven Paint and Clay Society, and the Kent Art Association. His work was exhibited at the National Academy of Design and the Hartford Museum. 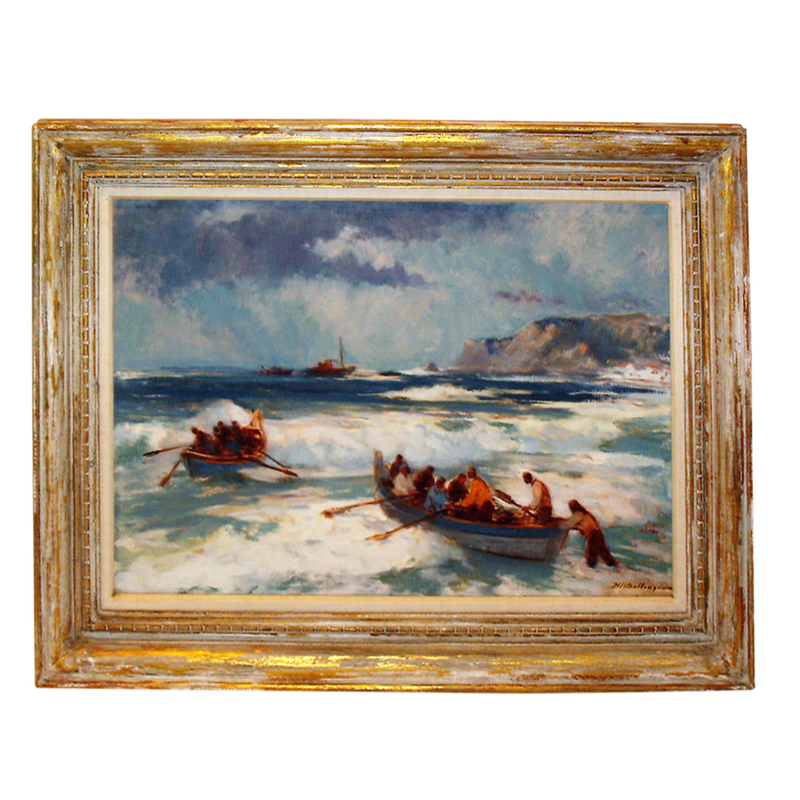 This oil on canvas is a powerful winter seascape that evokes the hardships of the New England fishing industry as it was in the early 20th century. It is signed in the lower right hand corner. CONDITION: In a distressed wood frame of the period.